U.S. Food and Drug Administration Commissioner Scott Gottlieb has called for meetings with the chief executives of Juul and its big tobacco buddy Altria over teen vaping concerns, claiming that their $13 billion deal last year undermined promises they made to the agency about getting the dang teens off their products. In letters respectively addressed to Juul CEO Kevin Burns and Altria CEO Howard A. Willard III this week, both were accused of contradicting agreements the companies had previously made with the agency during meetings in October. Both companies, Gottlieb said, should be ready to lay out in a joint meeting with the FDA exactly how Altria’s 35 percent minority stake in the vaping giant affects those prior commitments. The FDA chief said back in December that he planned to meet with the companies following the announcement that Juul had agreed to a deal with big tobacco—which, by way of some mental gymnastics, the company insists actually furthers Juul’s mission of getting adult smokers to make the switch to vaping. As TechCrunch noted, the deal gives Juul some of Altria’s display space in stores and will allow Juul to advertise through inserts in cigarettes packs. Juul has consistently claimed that it is committed to keeping its products out of the hands of teens (even if it stands accused of advertising to them for years). 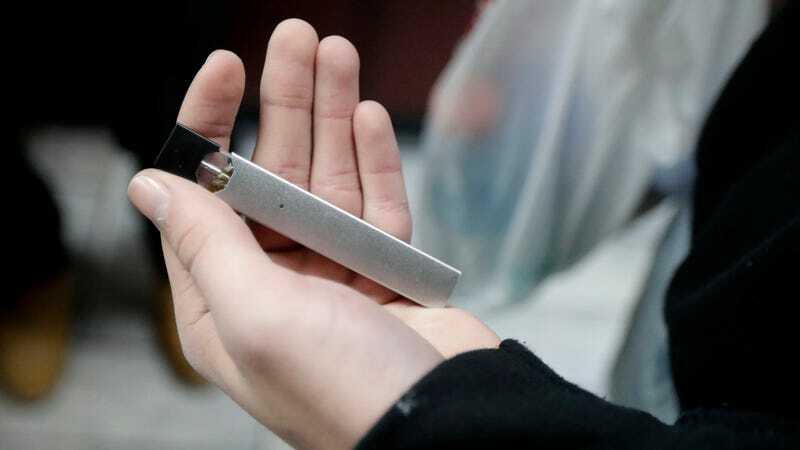 Through agreements with the FDA, the company has pulled some flavored Juul pods from stores, killed some of its social media accounts, worked to boot teens from its website, and seriously overhauled the way that its products are being marketed. Even still, teen vaping continues to see a staggering spike. Speaking at a public hearing last month, Gottlieb threatened that the entire e-cigarette industry could be in for a world of hurt if the trend continues.